and i think the hat fits so well. Like the outfit, the best thing about it is the golden bracelet. Lov'it! He's cute, looks a bit like Jim Sturgess. And he dress really nice. Love the way he wears the scarf. 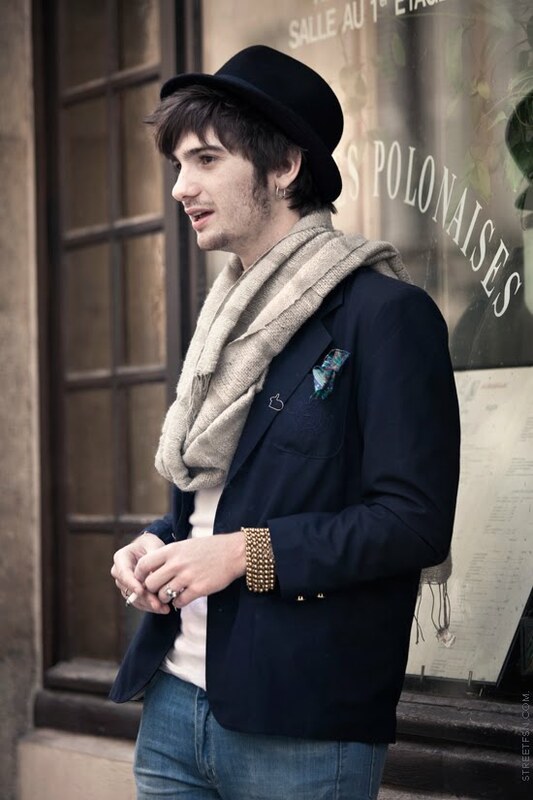 what a great scarf, bracelet, and hanky (right?) poking out of that pocket. great photo, again!!! Thank you for your comment on my blog! Your blog is beautiful. I love this photo! !